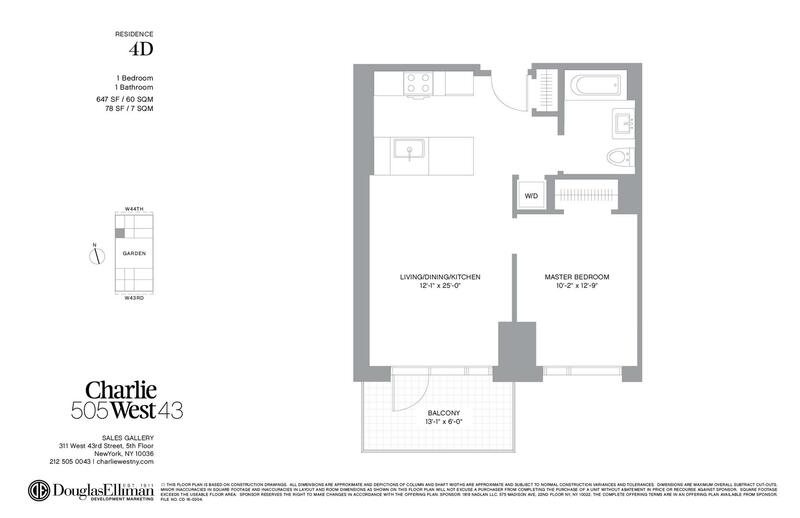 This 1 bedroom 1 bath home features a 78 -square foot balcony conveniently located off your expansive living room which boasts 5" wide plank oak wood flooring throughout, an open layout and floor-to-ceiling windows. The custom Scavolini kitchen by Escobar Design features white quartz countertops and backsplashes, wood and lacquered cabinets and is equipped with Bosch and Thermador appliances. The luxurious bathroom is finished with a Herringbone flooring marble stone tile pattern with porcelain tiled walls and fixtures by Toto. A washer and dryer complete this residence.